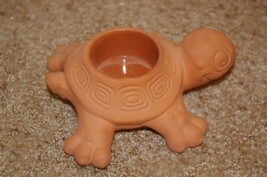 PartyLite Patio Pals Terra Cotta Turtle This cute tealight candle holder is part of Partylite's Exclusive Garden Visitor's Collection. 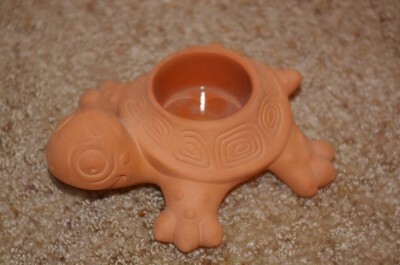 It is made of terra cotta and designed for outdoor fun. This would look great on the patio or deck.. It can also be used indoors. It stands about 2 1/2” high and use tealight candles. It is in gently used condition with no chips or cracks.